Mercure Nadi is set within five acres of beautiful tropical gardens and is located only minutes away from Nadi Airport. Take advantage of complimentary shuttle transfers to and from airport by providing your flight details. The hotel offers 85 spacious rooms, all surrounding an inviting tropical style swimming pool, offering ideal Nadi accommodation for couples or families looking for a tropical Fijian getaway. Mercure Nadi also features the delicious Rokete Restaurant and Bar and indulgent Tiare Spa. 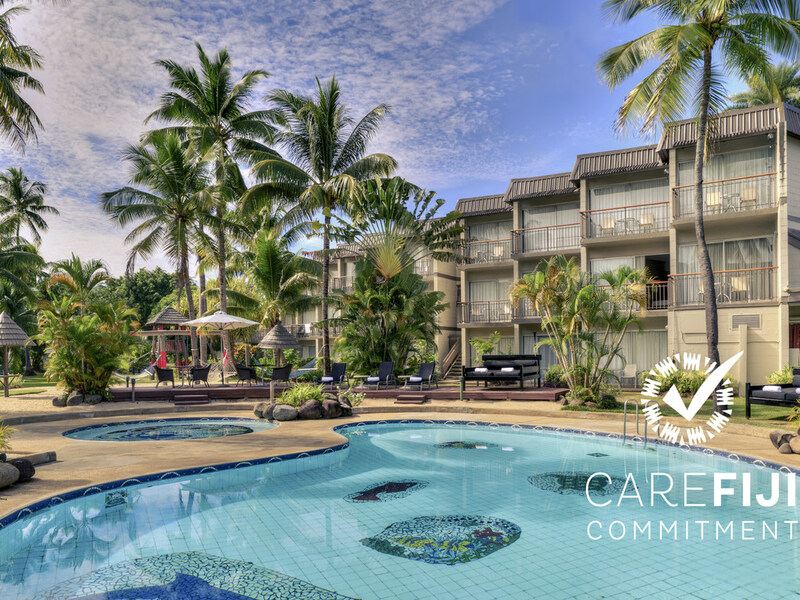 Set within five acres of tropical gardens and only minutes from Nadi Airport, Mercure Nadi offers 85 spacious rooms, surrounding a tropical style swimming pool. Mercure Nadi is the ideal Fijian getaway for couples and families alike. We have the solution for your perfect holiday. Stay in the airconditioned Superior Room, our spacious Deluxe Room Queen with private balcony and overlooking the pool or garden, or Deluxe Room King for an even more comfortable night sleep. Rokete Bar is the perfect place to unwind after a busy day of shopping, sightseeing or business, or sit back and watch live sport, locally and also from around the world.